I would like to thank you and all the Denbies team for a lovely day. You promised a worry free day and you delivered! We were very impressed with the Gallery Restaurant team - the food was excellent and the service spot on! 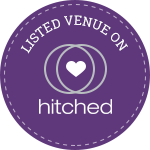 We would be more than happy to recommend Denbies as a venue. Please pass this message on to all your management and team. I would like to say a huge thank you to all the staff at Denbies for making our wedding day such a success. You gave us as much time as we needed to discuss all aspects of the day on numerous occasions and the execution of the plans on the day was faultless. The conservatory looked stunning and was just as we had discussed. The whole day ran like clockwork. I would certainly recommend Denbies as a wedding venue and would be happy to use it again. We just wanted to say a huge thank you to all the team led by Dan last Friday 11th April 2014. L and H had a fantastic day, as we all did and Denbies made it very special. We had so many lovely comments on the excellent venue, the quality of the food, wine and courteous, professional service, plus of course we had lovely weather.